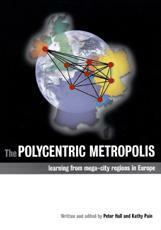 A new 21st century urban phenomenon is emerging: the networked polycentric mega-city region. Developed around one or more cities of global status, it is characterized by a cluster of cities and towns, physically separate but intensively networked in a complex spatial division of labour. This book describes and analyses eight such regions in North West Europe. For the first time, this work shows how businesses interrelate and communicate in geographical space - within each region, between them, and with the wider world. It goes on to demonstrate the profound consequences for spatial planning and regional development in Europe - and, by implication, other similar urban regions of the world. The Polycentric Metropolis introduces the concept of a mega-city region, analyses its characteristics, examines the issues surrounding regional identities, and discusses policy ramifications and outcomes for infrastructure, transport systems and regulation. Packed with high quality maps, case study data and written in a clear style by highly experienced authors, this will be an insightful and significant analysis suitable for professionals in urban planning and policy, environmental consultancies, business and investment communities, technical libraries, and students in urban studies, geography, economics and town/spatial planning. • RhineRuhr: ‘Polycentricity at its Best’? • Rhine-Main: Making Polycentricity Work? • Greater Dublin in the Celtic Tiger Economy: Towards a Polycentric Mega-City Region? Sir Peter Hall is Bartlett Professor of Planning and regeneration at the Bartlett School of Architecture and Planning, University College London, UK and Senior Research Fellow at the Young Foundation, London, UK. Author and editor of over 35 books, he is one of the world's pre-eminent authorities on urban and regional planning. Kathy Pain is a Research Fellow at the Young Foundation, London and at the Globalisation and World Cities (GaWC) Study Group in the Department of Geography at Loughborough University, UK. She is a professional urban planner and researcher in global city relations, sustainable development and policy.